Maybe you’re a steam train enthusiast, but even if you don’t know your C-stock from a banana trifle and just long for the days when there were proper luggage racks, you may still wish to take a trip into the past this summer. 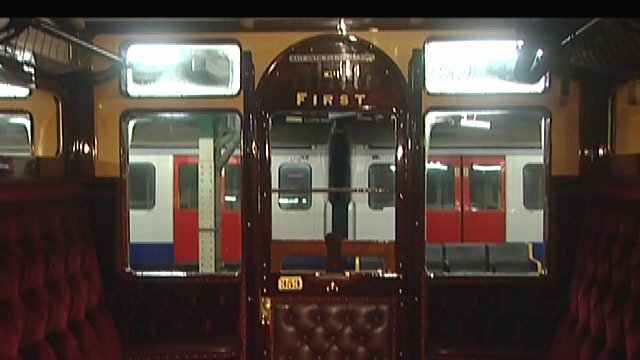 All around the country steam trains are reappearing, including on the London Underground, where they’ll celebrate 150 years of the Hammersmith & City line. They’ll be jaunting between Moorgate and Northfields, and on the Metropolitan line between Rickmansworth and Harrow-On-The-Hill and other places I’ve never been to because they’re probably like, Zone Four or something. There’ll be brass bands and entertainment, and you can pretend that you and Dr Watson are going across the city to visit the home of Lord Ponsonby-Spiffington to find out who stole his wife or his horse. You’ll get ticket details on the London Transport Musuem website here. Remember to take your red flannel knickers with you in case there’s a landslide. Pip pip! It all sounds wonderful and not to undercut a favorite author – may I point out a second/or slightly less favorite – has a multi-part series featuring the Railway Detective, which features the advent of the railway system in Great Britain and France. Something to read between visits to the real thing on display this summer. Nice heads-up work Admin . Don’t worry about what is in the outer zones,Admin. Only a couple of years and you’ll be able to use a freedom pass to see exactly what is out there in the twilight zone. And it might still be free………….fingers crossed. Anyone who doesn’t know about the seniors’ free pass and reduced rates – get with it! There are really good deals there. Our concession rate doesn’t even come close.